We know that not everyone has a personal garden. This is true for most people who rent or who live in more densely populated areas. As a home- or condominium-owner, you may not even have a lawn! But with our individual raised cedar garden beds, you don’t need a lawn or even a lot of available space to grow your favorite plants. 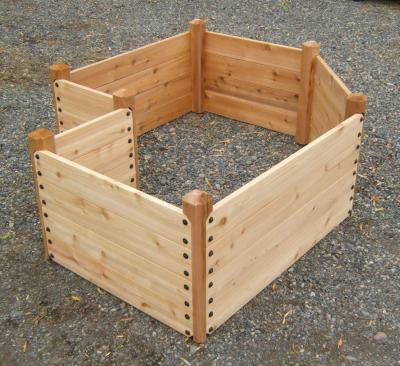 We handcraft our single raised cedar garden beds from beautiful Western Red Cedar—they are available in numerous shapes and dimensions. 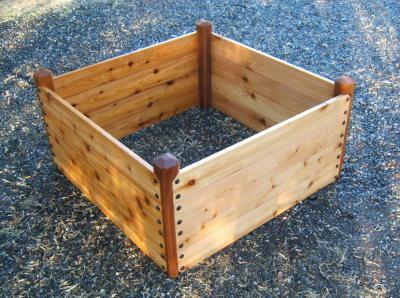 This ensures that even with limited balcony or patio space, you can find a suitable location for an individual raised cedar garden bed. 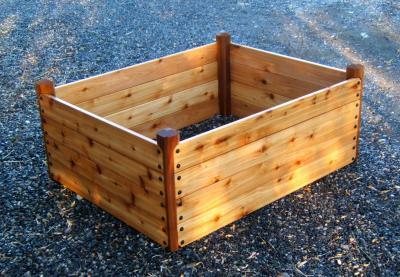 Browse our selection today or browse our full garden bed kits. 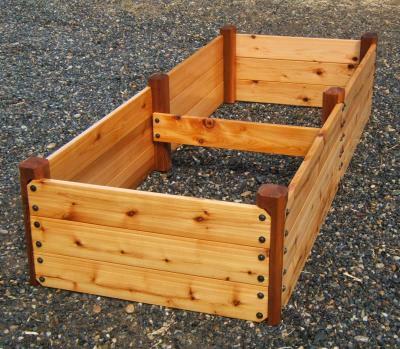 If you know anyone with a green thumb, our elevated garden beds will make the perfect gift! 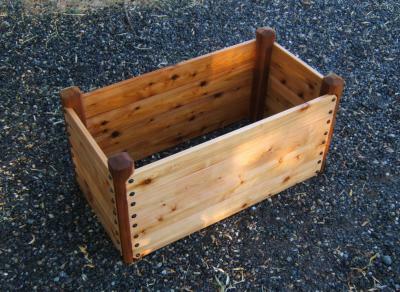 Use as a small bed in your garden or as a flower planter in your yard. Also great as a herb planter. 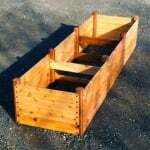 This size is great for a small bed in your garden, a flower planter in your yard or a herb garden on your patio. Good width for children or enabled gardening. 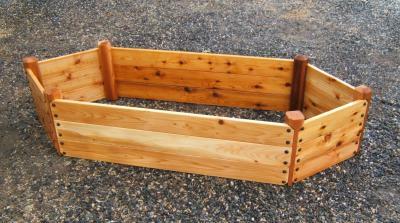 Use as a medium sized bed in your garden or as a flower planter in your yard. Popular for ‘square ft. gardening’. 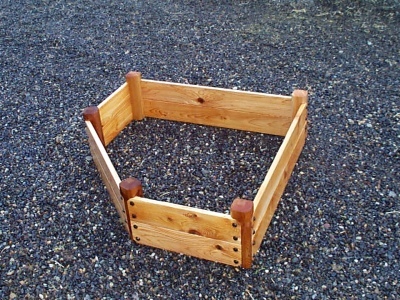 This beautiful, durable cedar raised bed fits nicely in a corner. 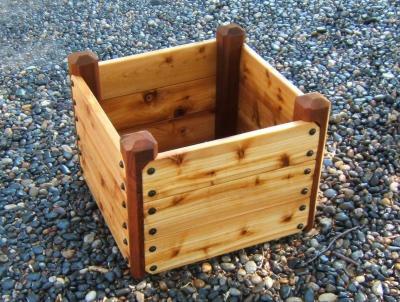 It is great for a small bed in your garden, a flower planter in your yard or a herb garden on your patio. 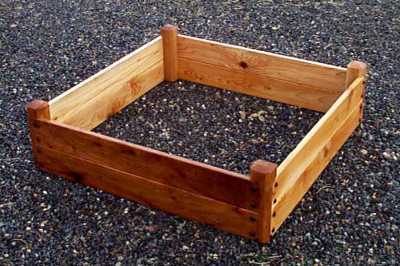 This bed is great for a medium bed in your garden, a flower planter in your yard or a herb garden on your patio. 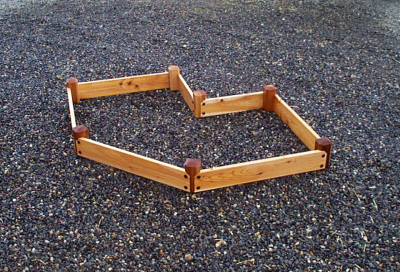 ​Use as a small bed in your garden or as a flower planter in your yard. Good width for children or enabled gardening. 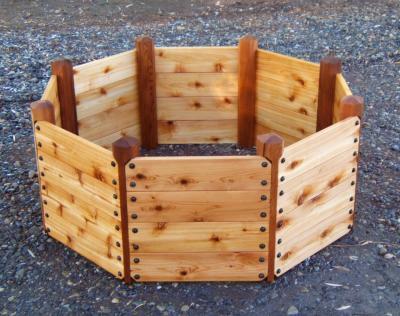 This is great for a large bed in your garden or a corner bed in your yard or patio. Can be assembled in 4 configurations. 24 sq. ft. bed = 11 cu. ft. | 22 sq. ft. bed = 10 cu. ft. | 20 sq. ft. bed = 9 cu. ft. | 16 sq. ft. bed = 8 cu. ft. 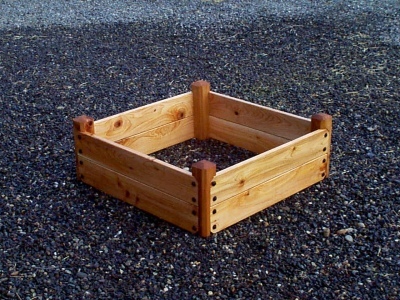 This beautiful, durable cedar raised bed has very interesting geometry. a nice terrace bed to set on top of a larger bed. Approximate bed volume = 2 cu. 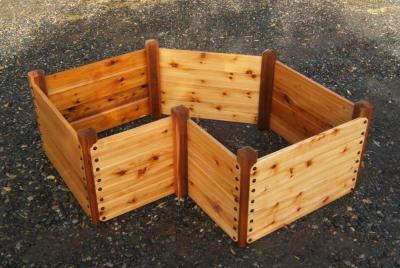 ft.
a corner bed in your yard or patio. Can be assembled in 3 configurations. 19 sq. ft. bed = 9 cu. ft. | 17 sq. ft. bed = 8 cu. ft. | 14 sq. ft. bed = 7 cu. ft. This bed is the same as above, only 2' longer. 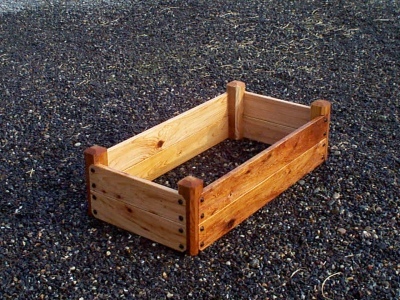 Use as a small bed in your garden or as a flower planter in your yard. Also makes a nice terrace bed to set on top of a larger bed. Approximate bed volume = 3 cu. 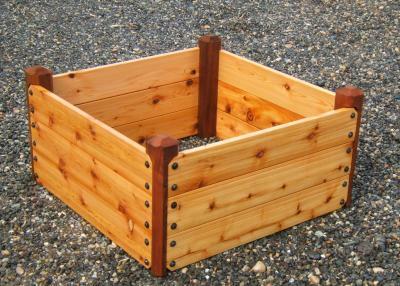 ft.
Use as a large bed in your garden or as a flower planter in your yard. 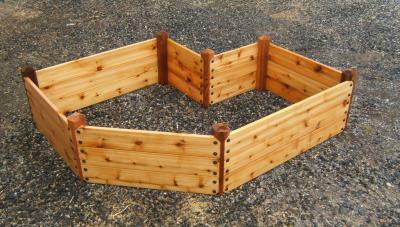 Makes a delightful strawberry bed when combined with a B3X1.5-DH or SH bed used as a terrace. 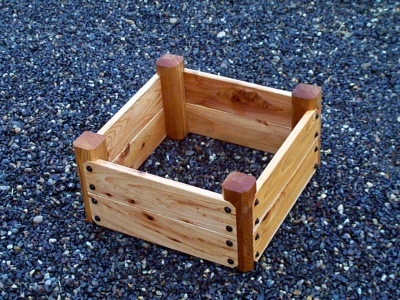 Use as a small bed in your garden or as a charming flower planter in your yard. 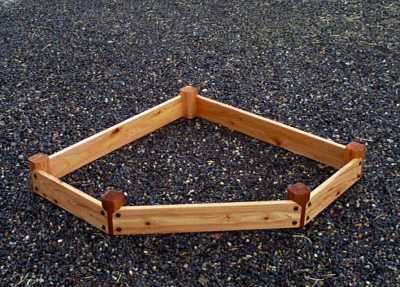 Also makes a nice terrace bed to set on top of a larger octagon. Approximate bed volume = 8 cu. ft. Approximate bed volume = 15 cu. ft. 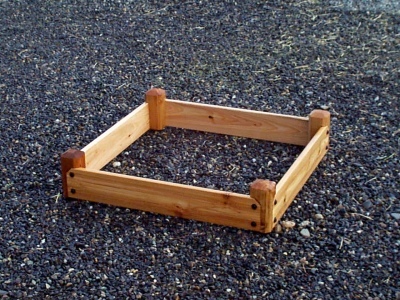 The 3' modified square is great for a small bed in your garden, a flower planter in your yard or a herb garden on your patio. Approximate bed volume = 6 cu. 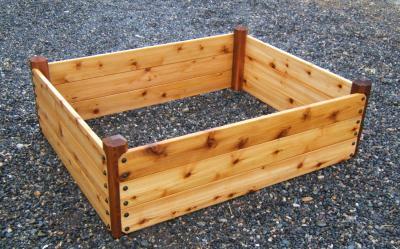 ft.
Use as a medium sized bed in your garden or as a flower planter in your yard. Approximate bed volume = 13 cu. 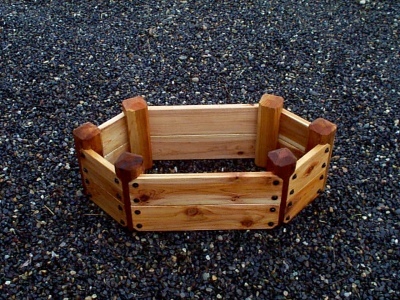 ft.
Use as a small bed in your garden or as a flower planter in your yard. Good width for children or enabled gardening. Approximate bed volume = 7 cu. ft. Approximate bed volume = 14 cu. ft.
Great value. 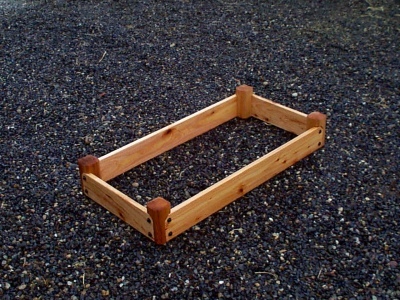 Use as a large bed in your garden. Approximate bed volume = 18 cu. ft. 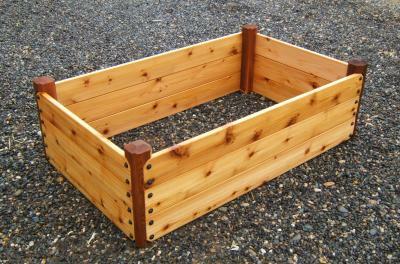 This popular, durable cedar raised bed is an exceptional value. Approximate bed volume = 28 cu. ft. Approximate bed volume = 21 cu. ft. Approximate bed volume = 27 cu. ft. Approximate bed volume = 36 cu. ft. Approximate bed volume = 32 cu. ft. Approximate bed volume = 42 cu. 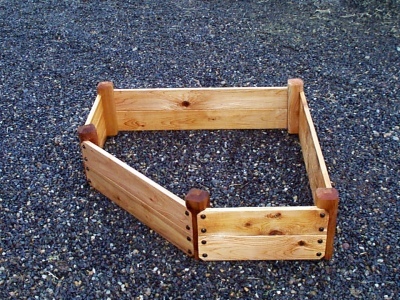 ft.
corner bed in your yard or patio. Can be assembled in 3 configurations. 19 sq. ft. bed = 17 cu. ft. | 17 sq. ft. bed = 16 cu. ft. | 14 sq. ft. bed = 13 cu. 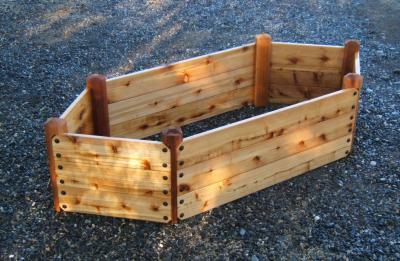 ft.
corner bed in your yard or patio. Can be assembled in 4 configurations. 24 sq. ft. bed = 22 cu. ft. | 22 sq. ft. bed = 20 cu. ft. | 20 sq. ft. bed = 18 cu. ft. | 16 sq. ft. bed = 15 cu. ft.
38 sq. ft. bed = 35 cu. ft. | 35 sq. ft. bed = 32 cu. ft. | 31 sq. ft. bed = 28 cu. ft. 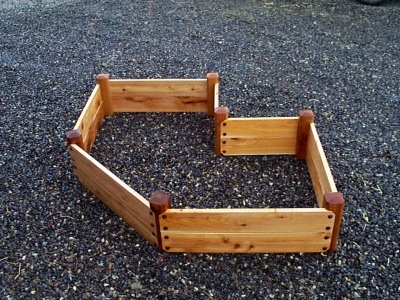 This beautiful, durable cedar raised bed has very interesting geometry. 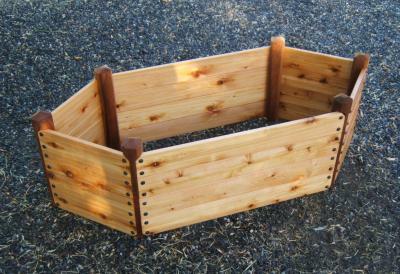 Use as a small bed in your garden or as a flower planter in your yard. Also makes a nice terrace bed to set on top of a larger bed. Approximate bed volume = 3.5 cu. ft. Interesting shape. 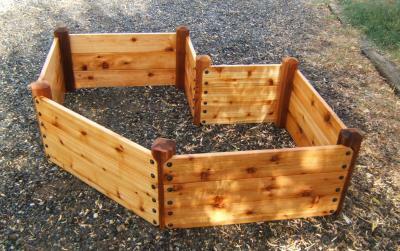 Use as a medium sized bed in your garden or as a flower planter in your yard. 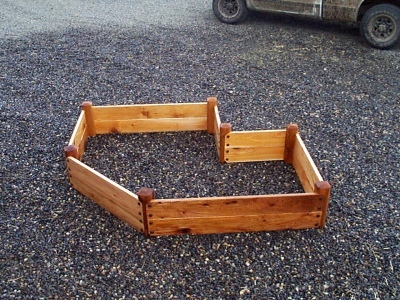 Makes a delightful strawberry bed when combined with a B3X1.5-DH or SH bed used as a terrace. Interesting shape. 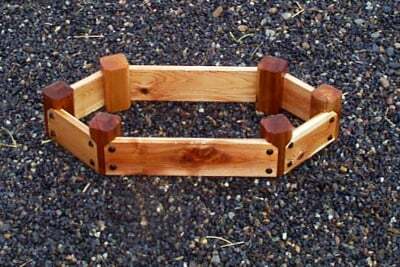 Use as a large bed in your garden or as a flower planter in your yard. 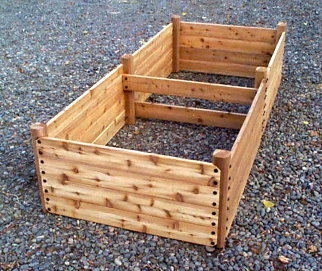 Makes a delightful strawberry bed when combined with a B5X1.5-DH or -SH bed used as a terrace. Approximate bed volume = 16 cu. 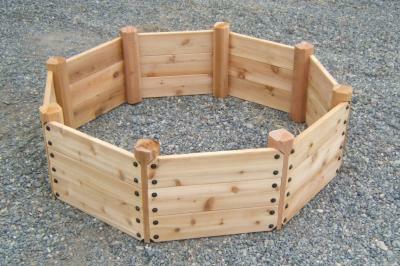 ft.
Use as a large bed in your garden or as a flower planter in your yard. Add a B5X1.5 -DH or -SH bed for a multi-level effect. Approximate bed volume = 26 cu. 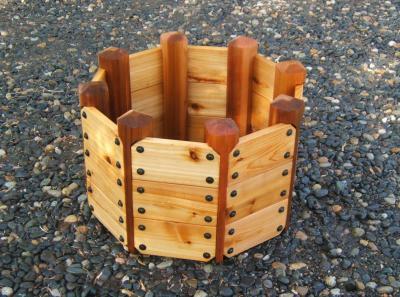 ft.
Use as a large bed in your garden or as a charming flower planter in your yard. Also great for landscaping around trees and shrubs. 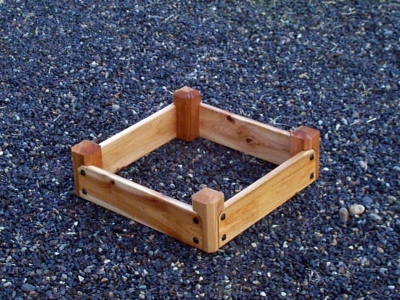 Use this beautiful cedar raised bed for landscaping around a large rock or tree. Not suitable for regular gardening (can’t reach center). Our newest design that can be reached from all sides with a unique layout. 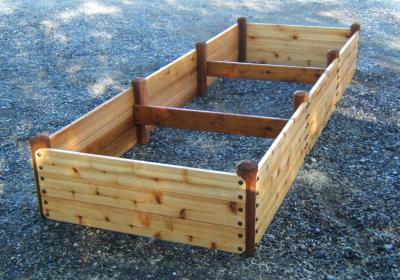 Use as a large bed in your garden or as a flower planter in your yard. Good width for children or enabled gardening. 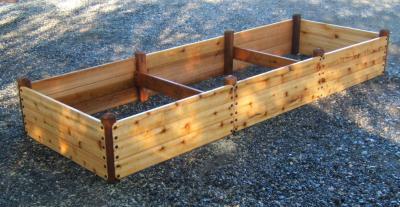 Use as a large bed in your garden or as a flower planter in your yard. 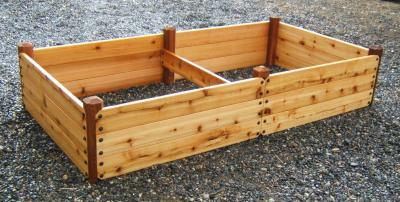 ​This popular, durable cedar raised bed is an exceptional value. ​The photo is of a 11" high bed. the depth of this bed is 16.5". patio. Can be assembled in 3 configurations. 19 sq. ft. bed = 26 cu. ft. | 17 sq. ft. bed = 23 cu. ft. | 14 sq. ft. bed = 19 cu. 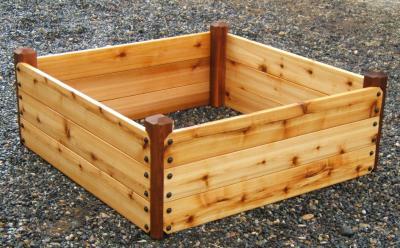 ft.
a corner bed in your yard or patio. Can be assembled in 4 configurations. 24 sq. ft. bed = 33 cu. ft. | 22 sq. ft. bed = 30 cu. ft. | 20 sq. ft. bed = 28 cu. ft. | 16 sq. ft. bed = 22 cu. ft.
38 sq. ft. bed = 52 cu. ft. | 35 sq. ft. bed = 48 cu. ft. | 31 sq. ft. bed = 43 cu. ft.
with a B3X1.5-DH or SH bed used as a terrace. Interesting shape. 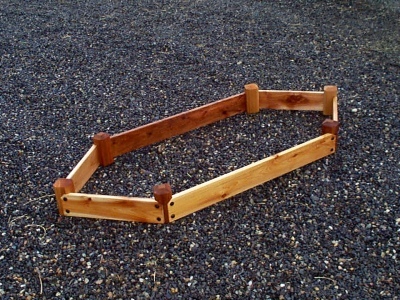 Use as a large bed in your garden or as a flower planter in your yard. 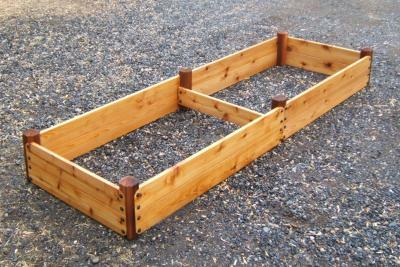 Makes a delightful strawberry bed when combined with a B5X1.5 -DH or -SH bed used as a terrace. 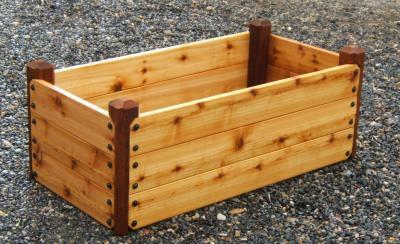 This size is great for a small bed in your garden, a flower planter in your yard or a herb garden on your patio. Excellent height and width for enabled gardening. 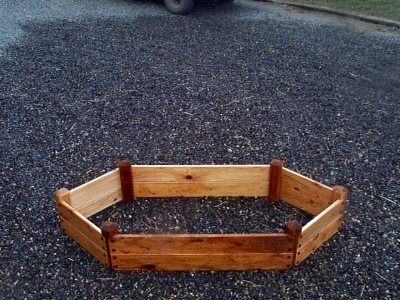 Use as a small bed in your garden or as a flower planter in your yard. Excellent height and width for enabled gardening. Photo shown is a 5x3x16.5. 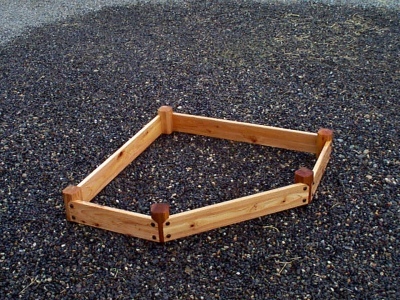 Use as a large bed in your garden. Excellent height and width for enabled gardening. Or use along a fence or wall. 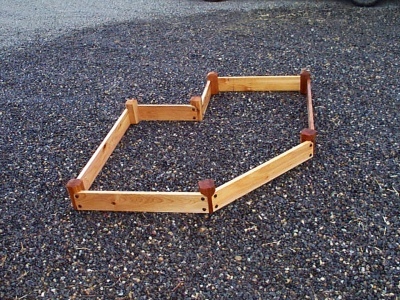 This bed is great for a large bed in your garden or a corner bed in your yard or patio. Can be assembled in 3 configurations. bed in your yard or patio. Can be assembled in 3 configurations.